Compact FTM-10R Mini-Manual. Size, 4.5x8 inches. Twelve high-quality laminated pages, loaded with detailed instructions. Ideal for short-form guide for setting-up and operating this unique motor sports targeted rig. 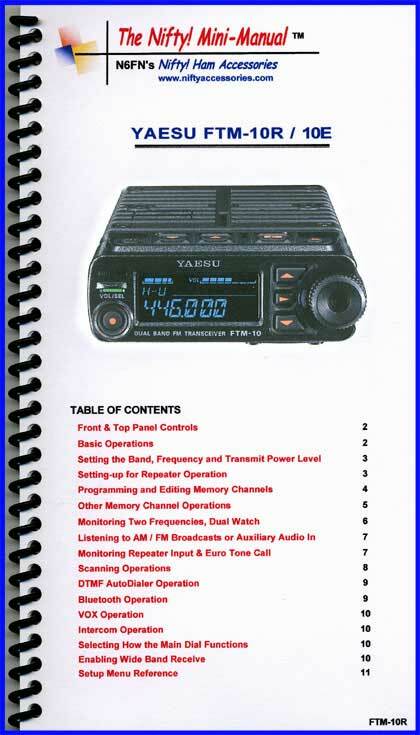 This manual covers both the USA and European versions of the FTM-10R and the newer FTM-10SR.